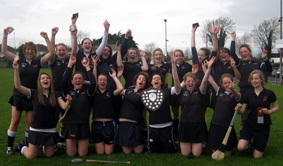 The Senior A’s had a great 2010 in reaching the finals of both the League and Championship. Unfortunately they were runner-up in both, but did a super job to get there in a year of huge competition. Sarah Marie Feighan did a great job as captain in leading the team throughout training sessions and matches all year. We had representation at county level this year across several levels. Our Dublin stars are Aisling Moffat, Martha O’Donoghue, Jill MacNair, Aisling O’Leary, Sarah Nagle, Zenouska Murphy and Sophie MacMahon. Good luck to all the girls in their Inter-County Championships. The Minor ‘A’ have won their League final against Maynooth. They showed great commitment and dedication, turning out for training in all weathers. It was a fantastic final girls, congratulations, all your hard work paid off. 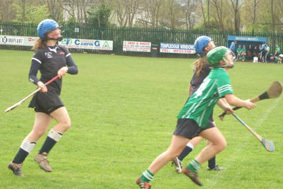 Well done to all camogie players this year for your dedication, commitment and hard work during the year. On a final note, a big thanks has to go to all the parents who have provided support and vital transport throughout the year. If captains/vice captains would like a page for their team please fill out the form at reception and give it to the Web Administrator (Ms. Bowe or Ms. Cagney). Please email images of your team to info@loretohighschool.com with ‘website + your teams name + your name’ in the subject line. Thank you so much to Kate for the Junior A updates – much appreciated.